I hope you had a great weekend. I had a lovely day yesterday with my mum and family, celebrating Mother’s Day. 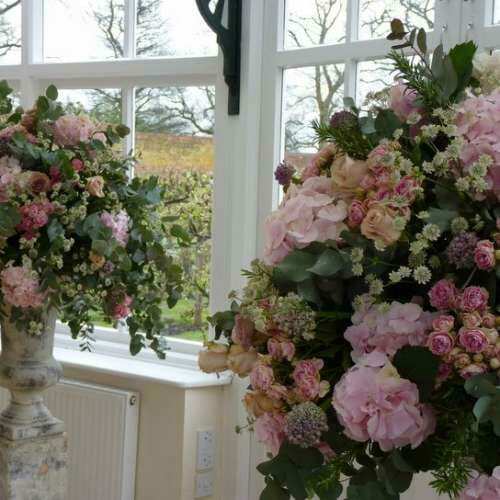 To start off the week, I’m delighted to feature an interview with florist Fiona Pickles of Firenza Floral Design. Many congratulations to Fiona on recently winning the award, Best Wedding Florist/North East region at the 2013 Wedding Industry Awards. 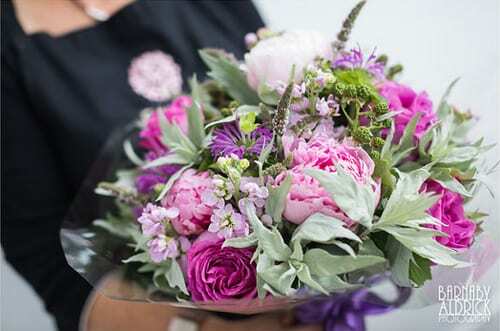 Could you tell us what prompted you to become a florist? I’ve always had a passion for flowers and love being at work in my garden, although I actually trained and worked for many years in the print industry, both in London and here in my home, the glorious North of England. I had a very successful and largely enjoyable career in the print industry, but it was very technical and I’m naturally a creative soul. Having always wanted to venture into floristry, I realised I’d regret not trying. So, in 2005, I decided to ‘bite the bullet’ and do something about it. 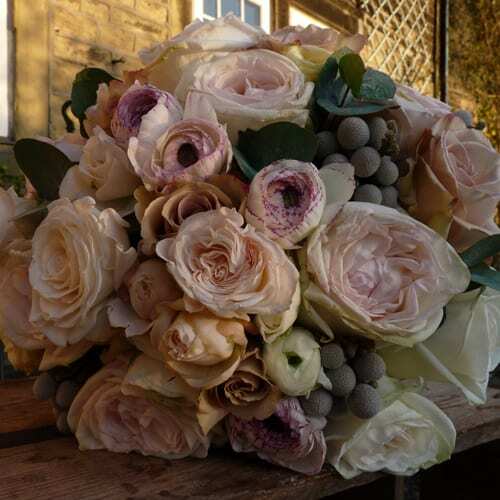 I continued working full-time and spent my weekends gaining invaluable work experience at the established and beautiful flower shop, The Willow Garden in Hebden Bridge. 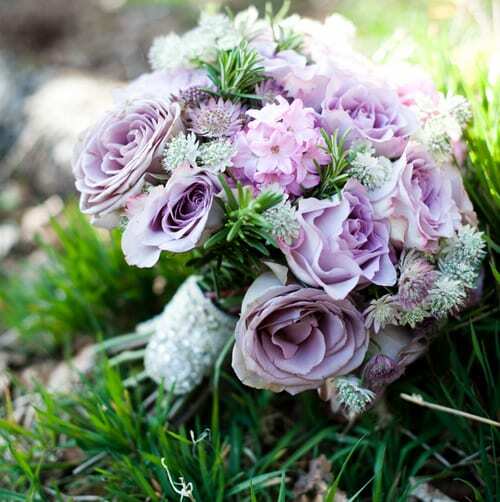 I volunteered help on an ad-hoc basis for almost two years before I had the confidence to leave full-time employment, retrain and pursue my dream career as a florist. So, in 2005, I waved goodbye to my company car, pension, etc and headed off to London to attend the Jane Packer Flower School career course. 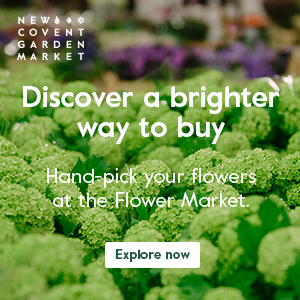 I rented a flat opposite Selfridges, within walking distance of the Flower School, and had an inspirational and liberating month living back in London and learning the skills that I’d dreamt of. 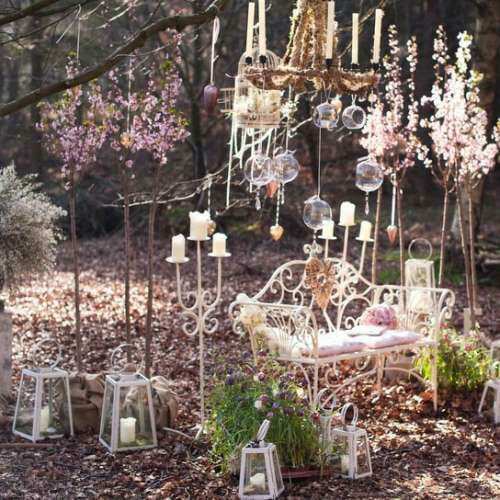 When did you start Firenza Floral Design and where are you based? Having completed the course in May 2005, I collected my little Kangoo van and started the business of Firenza Floral Design. The name Firenza Floral Design came about because I wanted to make it personal and my Nana’s name was Florence (Firenza is a form of the Italian for Florence). After I had chosen it, I found out that the meaning of the name ‘Florence’ is ‘flowering’ or ‘blossoming’, so it was even more appropriate than I had first realised! I operated from home and, as I didn’t have a retail outlet, nobody knew I existed. So I networked and marketed the business, making connections and raising my profile within the wedding industry. It’s taken a few years and lots of energy and hard work. But I’m so proud of what I’ve accomplished with the business so far and excited about all the plans for the business in 2013. The large workshop is near my home near Halifax in West Yorkshire, overlooking the hills and dales. It consists of a large consultation area, office, workshop, and of course, the all-important cutting gardens. 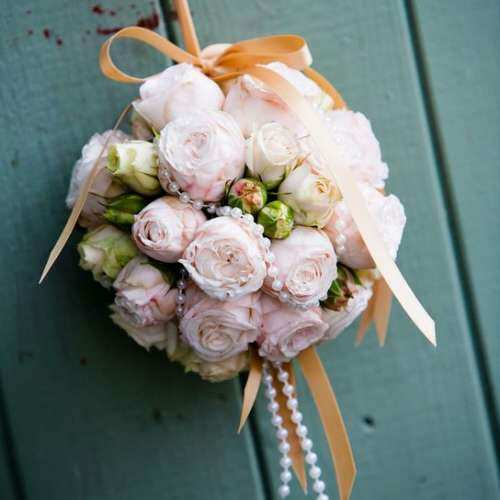 What kind of floristry services do you offer? 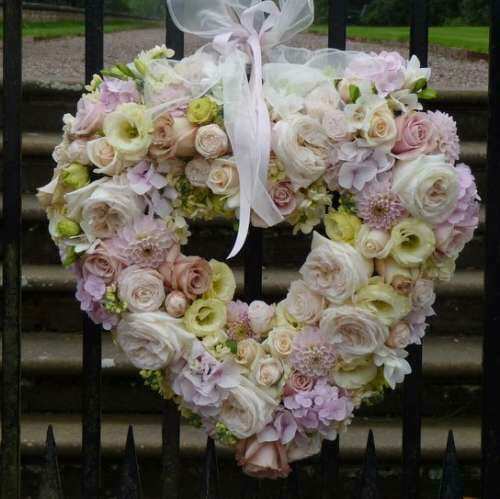 I’m a specialist wedding and event florist and cover the whole of Yorkshire and the North East, as well as Cheshire and Lancashire. The workshop, just outside Ripponden, is very near the Lancashire border (Leeds and Manchester are both about a 45 minute drive away). Plus I’m from Cheshire and have a secondary base in Cheadle, which allows me to cover this wide area with ease. My style is very natural and heavily influenced by my passion for gardening. I use all sorts of cottage garden type flowers and adore using herbs and textured foliage, preferably scented, as this adds so much more to the whole experience…think of a beautifully pretty Gertrude Jekyll garden! Could you tell us about some of your recent commissions? 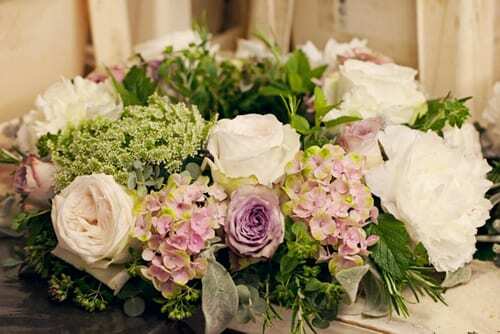 In July 2012, I was commissioned to provide flowers for Her Majesty The Queen. This was so exciting, although a little terrifying, if I’m honest. The brief was not to be ‘too weddingy’. 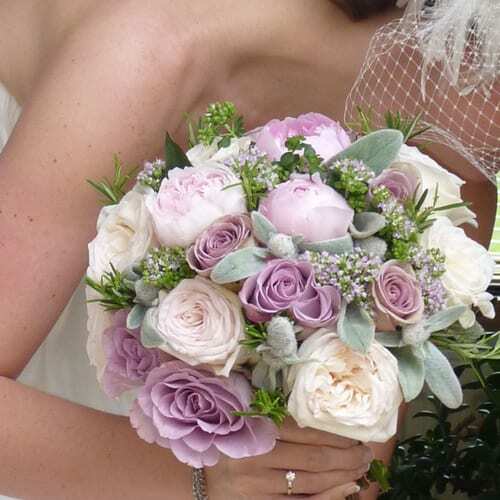 So I stuck with my natural, gathered, garden style and opted for bright cerise Yves Piaget roses, which are gloriously scented plus lilac delphiniums, blackberries, purple clematis, mint, pink campanulas, artemisia, antirrhinums, stocks and hydrangeas. 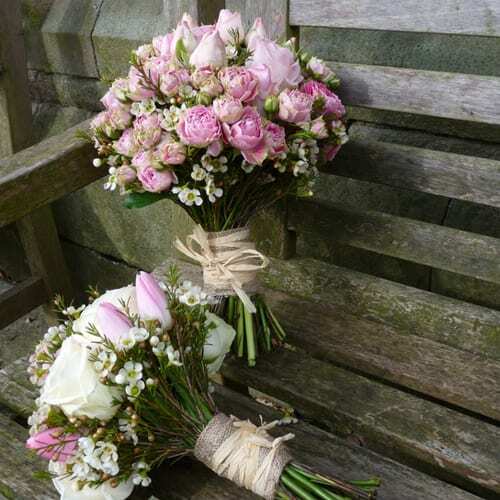 The presentation bouquet for Her Majesty had a selection of these, with pink peonies and monarda. It was an absolute honour and a very proud day! I’ve just started a scheme to source locally grown flowers, foliage and herbs, using amongst other things, local gardeners and community projects to help support our local area. It’s very early days for this at the moment, but the support so far has been incredible and I’m very excited about it. I’m also continuing to grow more of my own stock and am currently converting part of a very steep field into more cutting gardens. So 2013 promises to be my busiest year yet. I have a long list of favourites but if I had to narrow it down, then I would have to say my particular favourites change depending on the season…what the weather is like and how I feel! 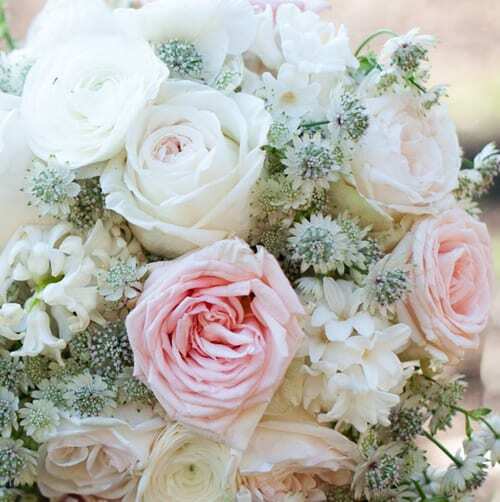 I adore ranunculus, they are so delicate and pretty, like tiny peonies; old fashioned scented roses that remind me of when I used to try to make perfume from rose petals as a child (extremely unsuccessfully! ), hydrangea and lavender, both of which my Nana Florence used to have in her garden; sweet peas, they’re just so fleeting and pretty and the scent is divine; honeysuckle, we used to have a gorgeous honeysuckle near the patio at home and the scent on a summer’s evening was so heady, one smell of it now and I’m straight back there. I’m afraid the list goes on and on! The unique ability of a particular smell to remind you of times, places and memories is why I’m so keen to use scent as much as possible in my weddings. Thank you so much to Fiona for all her help in compiling today’s blog post. It’s wonderful to hear about her use of local and her own home-grown flowers and foliage. 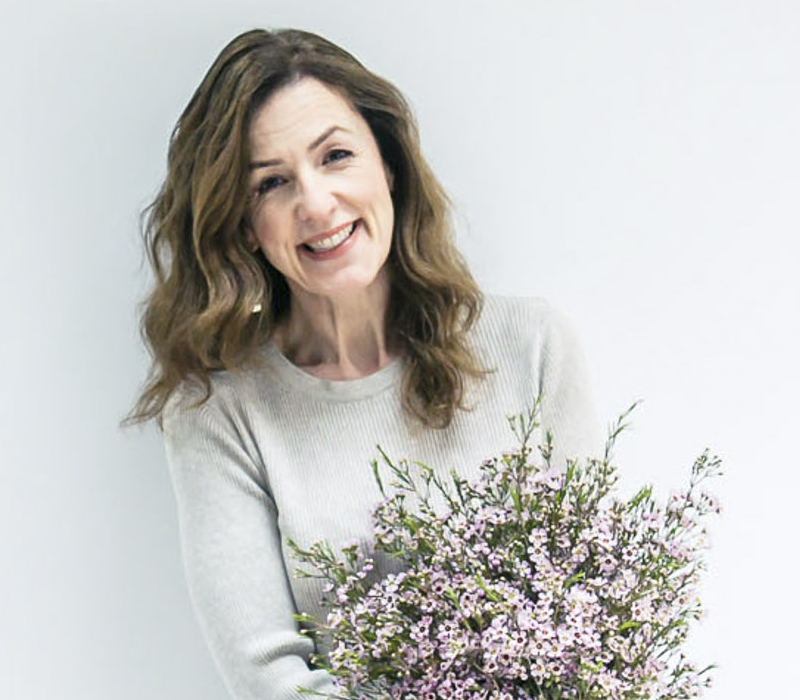 I noticed on her blog that last month she attended a Flower Farming course run by Georgie Newbery of Common Farm Flowers, who I’ve featured in the past. If you’d like to keep up-to-date with Fiona’s news, she’s on Twitter and Facebook, plus has a blog. Have you started making plans to look forward to in 2011? 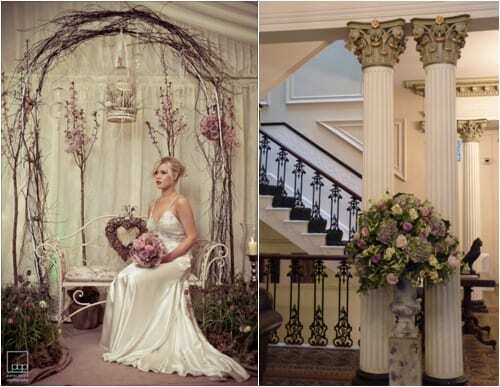 Would you like to learn the skill of flower arranging in 2011? Lovely interview..adore hearing how others started and to know business names other than my own come from their granny’s! I had dreams of going across the pond to Jane Packer’s school….someday! Thank you very much for your comment Sherry :-).